The San Antonio tungsten carbide band is a wedding band style that is both interesting and intriging. 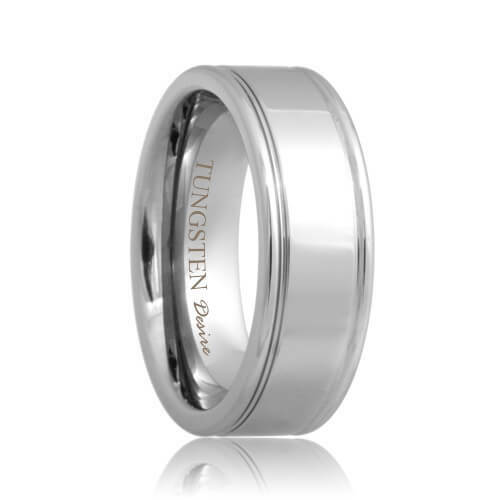 These tungsten wedding bands are contemporary and bold in style. They feature two notched grooves within polished tungsten carbide for additional dimension. The band is completely polished and is comfort fit. Most sizes ship within 2 - 3 business days. Free Lifetime Warranty and Lifetime Sizing; pay no restocking fees or deductibles! Exactly what I wanted! Flawless rings in the right style. I'm in the army in California and only went to a few jewelry stores around town. Since I couldn't find the right tungsten carbide ring I wanted and my time was limited, I found Tungsten Rings & Co. 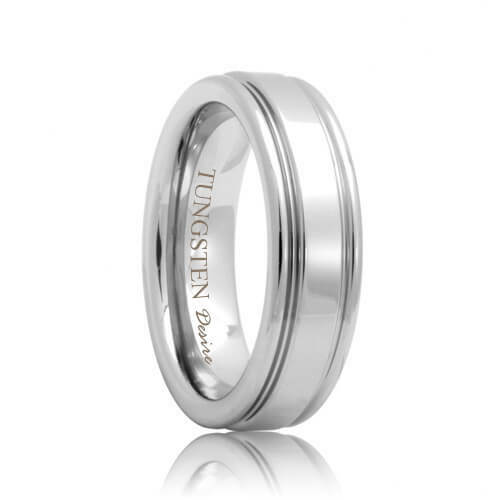 Hesitant about buying online, I spent a lot of time researching and in the end, Tungsten Rings & Co. was clearly the place. The ring has the right shape and style and never gets a scratch! The customer service is always fast and the wedding band arrived in 3 days after my order. Last - nobody could beat the price. If you look at the price and warranty policies, Tungsten Rings & Co. beats anyone. I am simply amazed at the entire process. Who could ask for anything more?